By Executive Director. Published on December 3, 2012 . There will be no ZPD Committee meeting on Tuesday December 4th. This entry was posted in News / Blog, Zoning Preservation & Development Committee on December 3, 2012 by Executive Director. 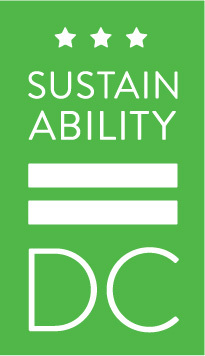 By will.stephens@dupontcircleanc.net. Published on October 10, 2012 . On October 2, 2012 the ANC hosted a community meeting to discuss parking, the second such meeting since February. The following are notes from that meeting. Many thanks to neighbor Nell Payne for her contributions to this post. The notes from the first parking meeting are available here. Parking Think Tank Meetings: DDOT is hosting more than a half dozen “think tank” meetings to solicit residents’ input on what future parking should look like in the District. 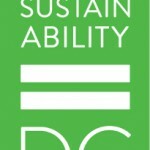 Go to the DDOT website – www.ddot.dc.gov – for information and schedule. Summary of Prior Parking Meeting: Damon Harvey briefly summarized discussion at the previous meeting on April 3. Performance Parking: For metered spaces, DDOT is considering “performance-based” parking – meter rates would rise during peak usage periods. Two goals include easing congestion and raising revenue. A portion of the additional revenue would be reserved for that specific neighborhood and could be used for things like installation of additional Capital BikeShare stations, sidewalk improvements, etc. 50% of revenue raised goes toward the waiver of transaction fees for disabled parking permits. Pay by Cell Parking: Now available for all metered spots in the District. Residential Parking Permit (RPP) System: Absent parking meters, the default Residential Parking Permit (RPP) regulations allow non-residents to park up to 2 hours, 7:00am-8:30pm, Monday through Friday. All other days/times, parking is unlimited. Restrictions do not apply to non-residents with a Visitor Parking Permit (VPP), more on that below. Current fee for RPP zone pass is $35. There was some discussion about whether this was an appropriate price. Enhanced Residential Permit Parking (ERPP): Part of two nearby neighborhoods, ANCs 2C and 1B have adopted Enhanced Residential Parking Permit (ERPP) rules. In 2C, one side of the street is reserved for residents only, 7:00am to 12:00 midnight, seven days a week; non-residents can park for up to 2 hours. In 1B, one side of the street is reserved for residents only, 7:00am-8:30pm, Monday through Friday, with no provision for non-resident parking on that side of the street at allduring that period. Methods to institute ERPP include (1) the City Council can pass legislation; (2) the ANC can adopt a resolution; or (3) residents can file an ERPP petition. To receive a copy of the petition, contact Damon Harvey at damon.harvey@dc.gov. The petition should provide the boundaries of the area in which ERPP is desired, the specific hours/days desired, and be signed by 51% of residents, one signature per household. Registration of Out of State Automobiles (ROSA): ROSA rules are intended to prevent overnight parking by non-residents who don’t have a VPP – $300 fine. But military are not required to have ROSA registration. Disability Parking: Disabled residents may be able to reserve a specific space, for example, in front of their house. Visitor Parking Permit (VPP): Currently, residents of Wards 1, 3, 4, 5 and 6 automatically receive a hard-copy VPP, which allows non-residents to park during hours when RPP or ERPP rules are enforced. Residents of Ward 2 can go to a police station and request a VPP that is valid for a certain number of days and is renewable. DDOT is exploring the possibility of moving the VPP system on-line and charging for them. New technology and other efforts help curb abuse (examples: forgery-resistant surface, a number on the pass that is linked to a specific address, limiting the VPP to a specific ANC, agreements with EBay and Craigslist not to post offers to sell VPPs). Charging for VPPs would also limit abuse. Could also limit the number of VPP days that may be used per household. DDOT must come up with a city-wide VPP system in the next 12 months. Enforcement: The Department of Public Works (DPW) enforces parking. DDOT has alerted DPW that the Dupont area would like to see more and better enforcement. Meter parking enforcement works through 10:00pm. RPP personnel (different team) enforce during the entire RPP or ERPP time period. ROSA personnel (different team) enforce against illegal out-of-state parking. DDOT’s Recommendations: DDOT recommends that the neighborhood consider extending RPP to Saturdays in certain areas. However, DDOT officials encouraged those interested in pursuing ERPP to consider the impact on guests (contractors, nannies, party guests, etc. ), and include a provision for visitor parking with the request for ERPP. The ANC 2C resolution could serve as a template. The ANC will review that for possible ANC 2B action in future. DDOT also recommends performance-based parking for metered spots in our area, to reduce congestion and raise revenues. Are you considering installation of additional bike racks for use by residents who own and ride their own bikes? Yes. Will you consider converting some spaces from car parking to motorcycle/scooter parking? Yes. We’ve already done that in several places and are looking for more. Considering day passes for businesses? No, this could reduce the effectiveness of new ERPP rules that would otherwise limit parking by employees of local businesses. This entry was posted in News / Blog, Parking, Transportation, Zoning Preservation & Development Committee on October 10, 2012 by will.stephens@dupontcircleanc.net. By will.stephens@dupontcircleanc.net. Published on October 9, 2012 . This entry was posted in Historic Preservation, News / Blog, Zoning Preservation & Development Committee on October 9, 2012 by will.stephens@dupontcircleanc.net.